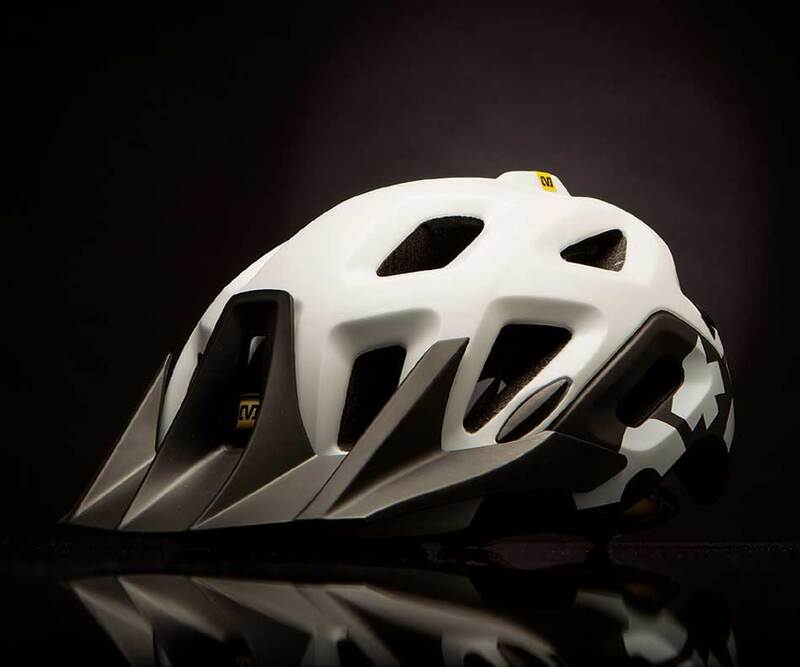 Mavic's new Notch helmet is well ventilated, a little deeper than traditional cross-country helmets and lighter than many, while also meeting both European and U.S. helmet safety standards. Three sizes are offered (S, M, L) and the helmet features a very lightweight and minimal retention system dubbed Ergo Hold SI. I found I had to adjust the depth setting of the retention system quite a bit until I found the most comfortable and secure fit. Although the visor is removable, it is fixed in place, meaning zero adjustment. I found this to be limiting because while the helmet was in its most comfortable position, my vision was restricted. Usually a quick tweak of the visor would solve this, but as I was unable to do so I had to go back to altering the depth setting of the retention system. Coverage at the back of the helmet is slightly lower than the Specialized Tactic, yet higher than the Bell Super or Troy Lee A1. Like the Specialized Tactic, the Notch seems more toward the lighter-duty end of the mix, but feels a bit less refined. The helmet comes in three colors—yellow, white and black—keeping it in line with Mavic's tri-color brand ID and is more subtle than some other manufacturers' more robust designs. At 320 grams, the Mavic lid comes in right where you'd expect, based on the amount of coverage it offers. It is slightly heavier than the Specialized Tactic and a bit lighter than the Troy Lee A1's 350 grams. Regardless of the Notch's color or weight, it definitely has credibility in the enduro-racing world, with the likes of Jerome Clementz rocking it on some of Europe's mellower enduro race courses.